​What a night in West Lafayette! The race for both the ​College Football Playoff and the Big Ten Conference title have been thrown into absolute chaos after what just happened at Ross-Ade Stadium. 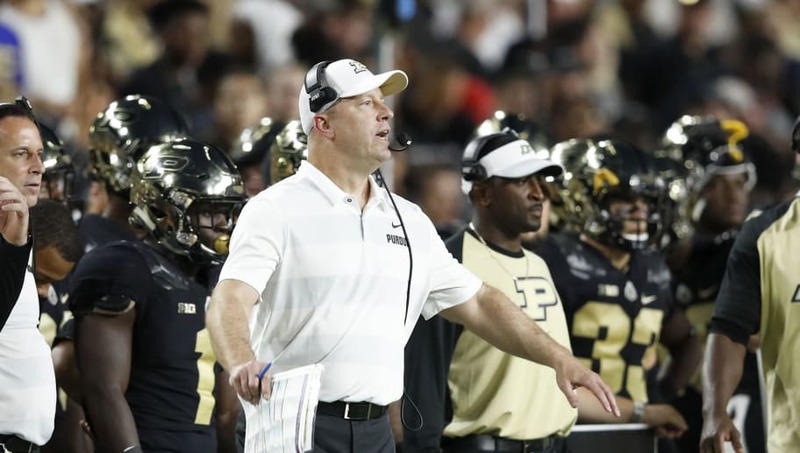 The unranked, unheralded Purdue Boilermakers pulled the ​shocker of the season Saturday night, absolutely stupefying the No. 2 Ohio State Buckeyes 49-20. The home team entered as 12.5-point underdogs. And they never trialed in the game even once. ​​This was simply a nightmare game for the Buckeyes. Dwayne Haskins threw it an incredible 71 times for 470 yards, but the run game was absolutely stifled and the OSU defense couldn't force a single turnover all night. On the other side, we witnessed a master class. Purdue quarterback David Blough put up 378 yards through the air with three touchdowns, connecting with receiver Rondale Moore 12 times for 170 yards and two scores. Running back DJ Knox picked up 128 yards and three touchdowns on just 16 carries. And they finished it all off with a 41-yard pick six by Markus Bailey. Now, Urban Meyer's Buckeyes need to run the table in order to keep their dreams alive. Their Championship Week showdown with Michigan looms largest, but a road meeting with Michigan State two weeks before won't be a cake walk, either. Meanwhile, Jeff Brohm's 4-3 Boilermakers may as well feel like they're walking on air for the rest of the season. After a massive win like this, anything else that happens is gravy. Enjoy the night, boys. You earned it.